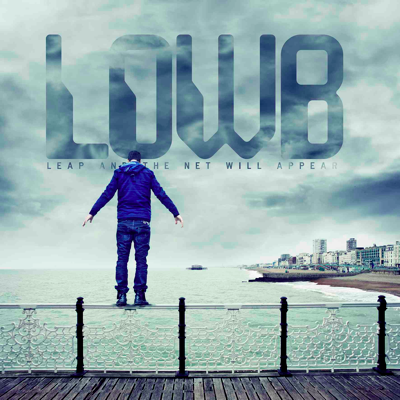 Leap and the Net Will Appear is Andy Barlow’s first official solo album as Lowb, released on June 3rd through Distiller Records. For nearly a decade, as a member of Lamb, Andy Barlow helped cultivate one of the richest and most innovative sounds in contemporary music. Lamb occupied the space between profound sadness and boundless jubilation, using a sophisticated marriage of sound and technology to communicate the rawest and most basic of human emotion. The group released four studio albums before going their separate ways in the early part of 2004. Before re-uniting with Lamb in 2009, Barlow continued his work in the studio, producing Fink’s 2007 LP Distance & Time, remixing groups like Placebo, Elbow and Snow Patrol, and engineering Lou Rhodes’ third solo album,One Good Thing. In 2007, he linked up with folk songstress, Carrie Tree, recording a handful of songs as Lunaseeds. This first solo outing has been a long time in the making. A Zen quote that speaks to a trust and reassurance in the universe’s master plan, Leap and the Net Will Appear has been something of a mantra for Barlow over the past few years. From the opening notes, it’s clear that attitude has embedded itself within the DNA of each song. The inspiration for Consecration featuring Jay Leighton on vocals, was born out of a plant medicine ceremony that occurred at Barlow’s home near Brighton. Hypnotic and uplifting, the song mirrors the sacred magic of the ritual, as Leighton’s recitations wash slowly over the beats. Themes of healing and connection continue in celestial Looking God in the Eye. Three of Barlow’s Lunaseeds collaborations also appear on Leap… including “Tears and Sparks” and the epic “Compassion,” where Tree’s voice patiently unfolds over an evolving marriage of strings, sound design, and head-tripping beats. Nowhere is this more apparent than on The Shaman’s Wife and the opening Wheeler Dealer Healer, a graceful instrumental that sways like a feather floating to earth while glitchy snares skitter and pan backwards and forwards. Lowb is a simple piano and guitar melody that finds purpose within vibrant hand drums and a pulsating 4/4 kick, but it’s Everybody, that hints at deeper, more abstruse adventures on the horizon.